A brief and arguably entertaining evening with Margaret Killjoy, editor of Mythmakers & Lawbreakers: Anarchist Writers on Fiction, a collection of fourteen original interviews with anarchist authors in the world of fiction (including Alan Moore! Ursula K. Le Guin! Derrick Jensen! Cristy Road! Starhawk! CrimethInc! and more! ), published this Fall by our pals at AK Press. 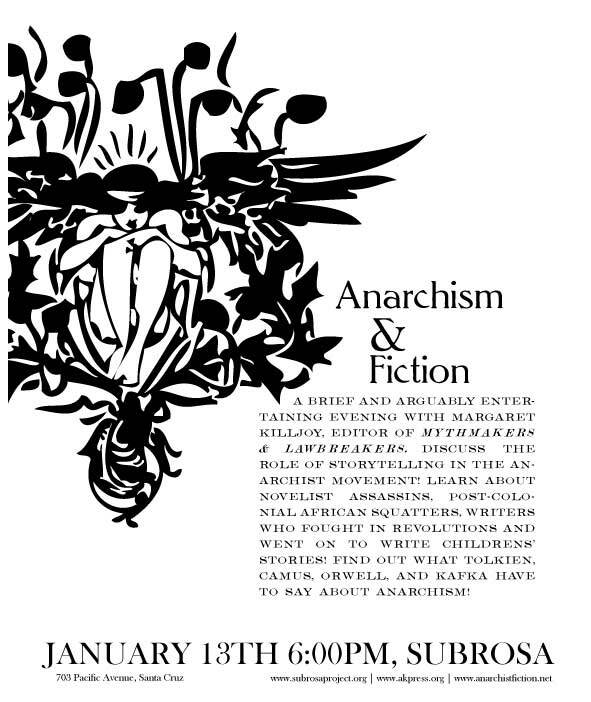 Discuss the role of storytelling in the anarchist movement -- Learn about novelist assassins, post-colonial african squatters, writers who fought in revolutions and went on to write childrens’ stories! Find out what Tolkien, Camus, Orwell, and Kafka have to say about anarchism! Don't miss it! 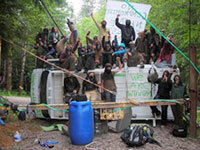 The first annual Earth First! 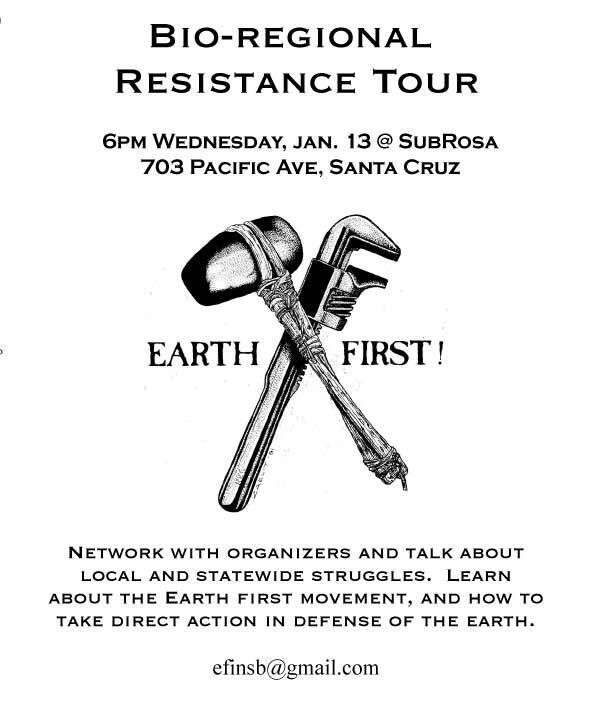 California Roadshow will be traveling through the state this month to build connections between bioregions and different ecological resistance groups, and to promote the upcoming Organizers' Conference and Winter Rendezvous in Santa Barbara. About a dozen events are scheduled from January 12th to 24th, including stops in Santa Cruz (Jan. 13), Santa Rosa (Jan. 15) and Fresno (Jan. 20), to feature skillshares, music and information about ecology-based resistance to hierarchical power structures.